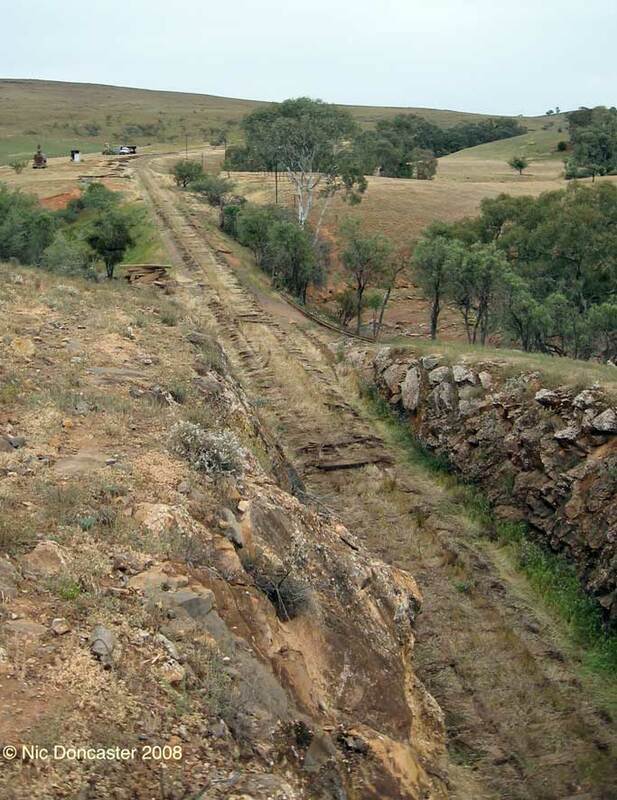 Friday October 3 - the removal gang were working in the southern Walloway Hills. The shed to the right was a dunny Steamtown put up for its Camp trains. Walloway itself is about a mile or so ahead, through the cutting. Steamtown had done some resleepering in the region in the 1990's, making this some of the better track on the corridor. The removal gang found this section the toughest, as the sleepers were generally holding, and it was difficult to bring removal equipment in. They also noted that a lot of the 60lb rail had been surveyed and marked with some hoping it might be a freebie. Not to be - the scrap price had fallen considerably since the contract had been let, and nothing was being wasted. 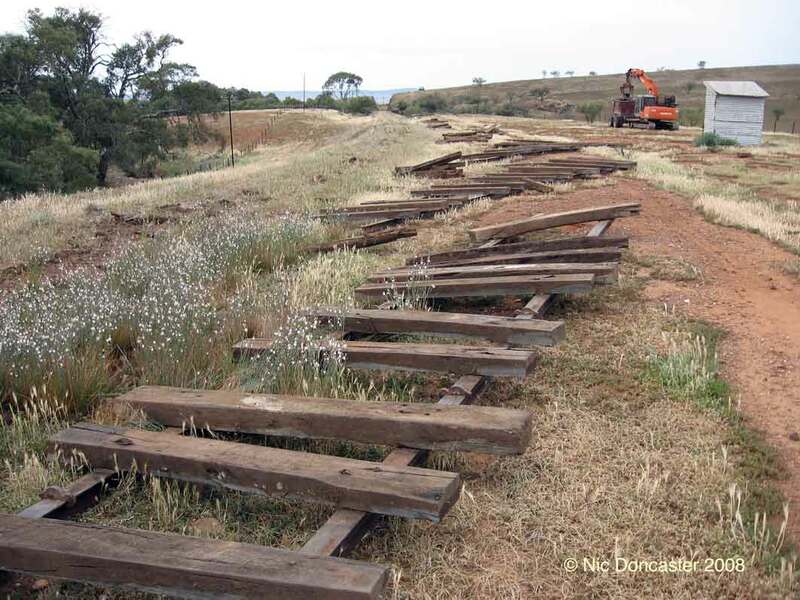 Apparently much of the (heavier) rail already removed has been sent to Queensland. The crew reckon that once they are out of the Hills it will be no more than 6 weeks work. Black Rock,Walloway-Walloway Creek, and Orroroo are to remain! Camp ground behind Camera - Walloway to the right of the photo. Recent rain has made this country turn its stunning green. Around where the truck sits I took one of my favourite pics.